Disney and Walden Media's The Chronicles of Narnia have run their course together. 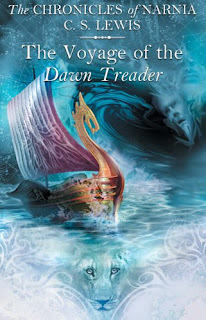 The Walt Disney Co. has decided to jump ship on the franchise and will no longer finance the next film "The Voyage of the Dawn Treader." This isn't all that surprising considering Disney hasn't been very happy with the box office outcome of the first two Narnia films they financed. The first two films both cost around $200 million to make and domestically each film only barely made the money back. "Prince Caspian" in fact hasn't even made its money back domestically with a total of $142 million. Worldwide both films have each made over $400 million, but for a series like The Chronicles of Narnia, you would want a much greater return. Narnia has simply in two words; under achieved! So where does that leave the next film? Will Walden Media continue with developing more Narnia films? It appears they are at least gonna try. Walden Media will begin to shop the third film, which is was set to start shooting this Spring with Michael Apted attached to direct. Walden Media has in the past worked with FOX, they even have their own banner together titled Fox Walden, so it is not a stretch of the imagination that studio would option the franchise. Fox would be essentially ready to go with shooting if they did option to finance the feature because most of the key actors including Ben Barnes, Georgie Henley, William Moseley and Anna Popplewell are still signed on for the third film. The script is written and "The Voyage of the Dawn Treader" has a director attached, so technically the film could keep its shooting date at prospective release date of May 2010. What say you? You want to see another Narnia film? Did you like the first two? Would new blood in the series make it a more viable series? Are studios going to line up for The Voyage of the Dawn Treader? A better question, will you? Oh well, I fell asleep in the first two anyways!